Penny Gore with music from the BBC NOW. Dvorak: Cello Concerto. Tchaikovsky: Symphony No 6. Mozart: Piano Concerto No 20. Gruber: 3 MOB pieces for Seven instruments and percussion. 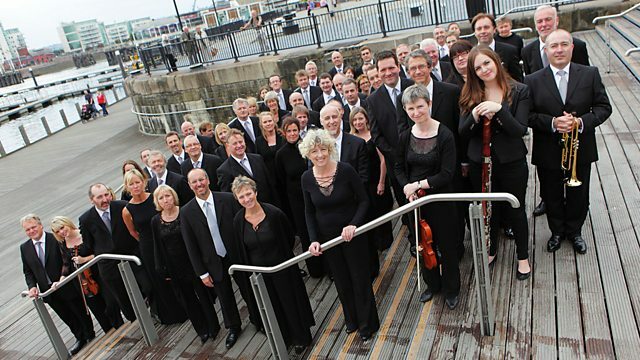 Penny Gore presents a week of highlights from recent performances by the BBC National Orchestra of Wales. Michael Francis conducts Dvorak and Tchaikovsky a concert from Llandudno, part of the BBC NOW's autumn 2013 tour of North Wales. And later in the afternoon, the recent Radio 3 New Generation Artist Christian Ihle Hadland plays Mozart's brooding, dramatic d minor Piano Concerto. Another Viennese composer - this time contemporary - concludes this programme. HK Gruber's 3 MOB pieces originally date from the 1960s, a period when the composer and his Viennese friends were performing in venues where no living composers traditionally set foot. This version for trumpet and orchestra is performed by the great Swedish virtuoso Hakan Hardenberger. Singer: Barbara Bonney. Performer: Wolfram Rieger. Performer: Daniel Müller‐Schott. Orchestra: BBC National Orchestra of Wales. Conductor: Michael Francis. Choir: BBC National Chorus of Wales. Orchestra: BBC National Orchestra of Wales. Conductor: Grant Llewellyn. Orchestra: BBC National Orchestra of Wales. Conductor: Michael Francis. Performer: Christian Hadland. Orchestra: BBC National Orchestra of Wales. Conductor: Nicholas Collon. Performer: Håkan Hardenberger. Orchestra: BBC National Orchestra of Wales. Conductor: Alexander Bloch.